It's official! 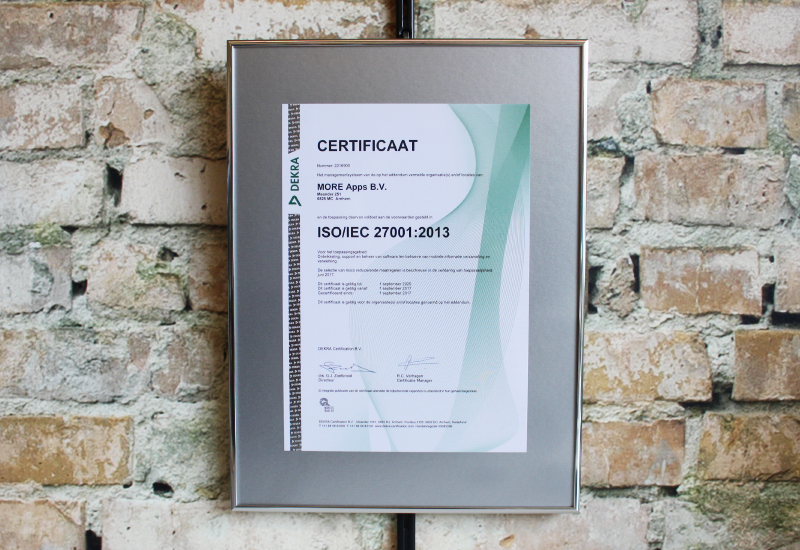 MoreApp received the ISO 27001 certificate. This certificate indicates that MoreApp complies with international standards in the field of information security. 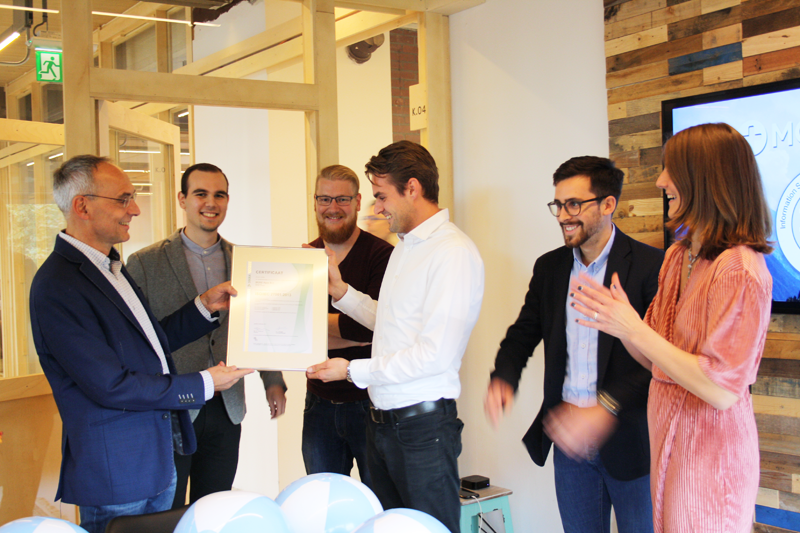 The certificate is officially handed over by the testing, inspection and certification agency Dekra to the MoreAp team! This certification means that capturing data with MoreApp is secure. We want to give our users all over the world the trust that their data is well protected. Therefore, information security has always been a priority for us. Now we can confirm this by official certification. By obtaining the ISO 27001 certificate, MoreApp proves to comply with international security standards. Your data is very well protected, and now also proven to be safe according to this standard. We are proud to announce that we are one of the few digital forms apps that have obtained this certificate! Read more about our security and download our certificate on our security page﻿. René Verkaik from Dekra, Vladimir Kuzmitki, Dirk-Jan Hoek, Thom Bokelaar, Arnau Abadal Bosch and Denise Ermes.